Lu Shao An intact gravestone at the Cambridge Old Burying Grounds. These bodies had been hidden, not by some sinister killer, but by the University’s very own employees, students, and faculty. 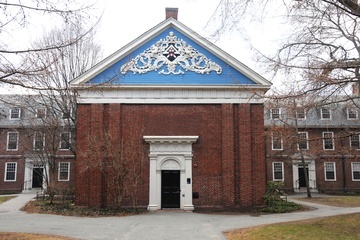 On a sunny July day, a construction crew working on the 1999 renovation of the Holden Chapel made a discovery—the basement walls were lined with human remains. As the crew sifted through century-old drywall, they turned up chunks of skeleton, according to a 1999 Crimson article. Alongside the mangled bones, the group resurfaced one of the more macabre chapters of Harvard’s early history: these bodies had been hidden, not by some sinister killer, but by the University’s very own employees, students, and faculty. Harvard’s corpse legacy began in late 18th century, when the newly opened Medical School began hiring grave diggers—not to bury bodies, but to exhume them. According to a 2015 history of the so-called “resurrection men” in Synthesis, an undergraduate history of science journal, the diggers snuck into Boston’s burial grounds in search of new graves, stealthily dug up some of the most “fresh” residents, and refilled the graves to avoid arousing suspicion. Harvard turned to these drastic measures because, as techniques improved, the demand for dissectable cadavers had grown until it could no longer be satisfied legally. Although Massachusetts had less restrictive laws than most states, allowing for human body dissection once every four years, Harvard Medical School was lucky to legally receive one or two cadavers a year––hardly enough for the burgeoning institution where “a single body [was] made to do duty for a whole course of lectures,” according to a 1788 issue of the Boston Gazette. As the lack of clinical material limited instructional experiences, class sizes, and opportunities for up-close dissection, the quality and quantity of doctors in the United States waned. The inexperience of the dwindling new medical graduates caused public outrage, prompting medical schools to change their curricula to emphasize hands-on study of anatomy. This shift to the “Paris method,” in which students learn by dissecting cadavers first-hand, further stimulated the demand for human corpses. Harvard Medical School dealt with this shortage by employing “resurrection men,” but several faculty members and students went a step further: they raided graveyards and dug up dead bodies themselves. Around 1770, Joseph Warren founded an illicit secret society called the “Spunker Club,” also known as the “Anatomical Club.” His older brother, John Warren—the founder of Harvard Medical School—was also a member. Some of the club’s most notable members included a William Eustis, the future governor of Massachusetts, and Samuel Adams’ son. Although this macabre organization was dedicated to grave-robbing in the name of learning, some of its morbidly curious members saw the painstaking process of body-snatching as art. Stealing a body required at least three participants––two to exhume the corpse and one to drive the getaway car. The surrounding area had to look undisturbed, so thieves often used large pieces of cloth to catch any flyaway dirt. Spunker Club members reportedly took great pride in their technique. In a 1775 letter, John Warren described a grave robbery “done with so little decency and caution” that “it need scarcely be said it could not have been the work of any of our friends of the [Spunker] Club,” according to a 2012 article in the Journal of Social Archaeology. 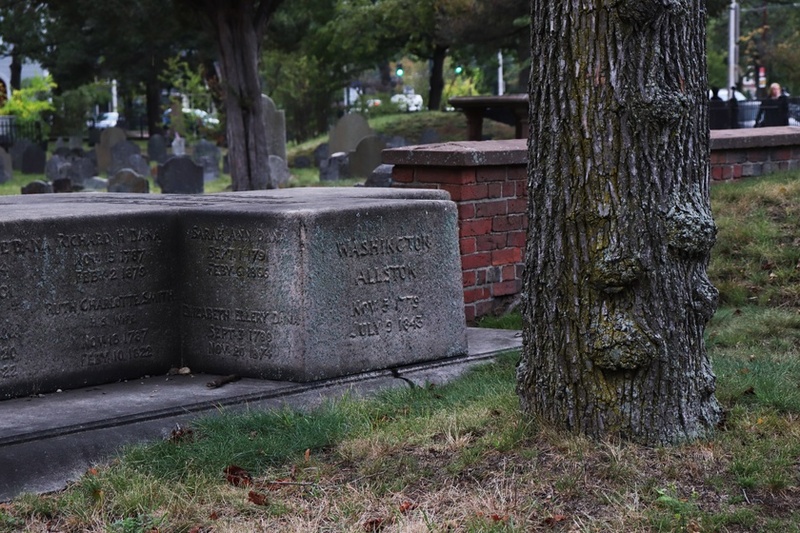 As “resurrection men” and body-snatching enthusiasts continued to ransack Boston graveyards, civil indignation incited the Act to Protect the Sepulchers of the Dead in 1815, making disturbance of buried bodies illegal and prompting a citywide patrol of graveyards and burial grounds. This legislature forced Harvard Medical School to “import” the cadavers from New York instead, where body snatchers were “emptying at least six hundred or seven hundred graves annually,” according to an article in the Boston Gazette. After the Massachusetts Medical Society published a plea in 1829 claiming that medical students had no other choice but to pursue their studies “in defiance of the law of the land,” the school’s need for illegally-obtained cadavers waned. Massachusetts passed the Anatomy Act of 1831, which allowed for dissection of the unclaimed bodies of the indigent, insane and imprisoned. Although the demand for dissection material was partially satisfied by the new influx of legally obtained bodies, it was hardly eliminated. In 1842, Harvard Medical School employed Ephraim Littlefield, a janitor who also supplied the school with cadavers for 25 dollars per body—roughly 760 dollars in 2017, according to economic data aggregator Measuringworth.com. It remains unclear whether Littlefield robbed the graves himself or was merely a middleman. Littlefield was also tasked with disposing of the human remains left over from the dissections. He dumped them in the basement of Holden Chapel, which was used by the Medical School until the mid-nineteenth century, which is where the construction workers found them 150 years later. Examination of the remains revealed that they belonged to at least 11 males and females, with most bones so cut up as to make identification impossible. Meeting of the Yale University Athletic Committee.